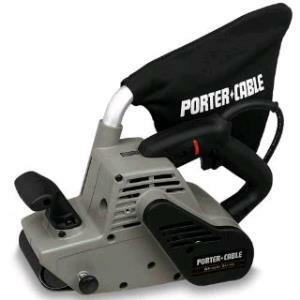 BELT SANDER - 3" X 24"
The 3"x24" belt sander is perfect for heavy stock removal, woodworking, remodeling and other home improvement applications. The large capacity dust bag helps to keep your work area clean of debris. Changing the belt is a snap with a quick release belt handle and the belt tracking knob makes centering the belt easy. We carry the following belts in-store: 24, 36, 60, 80, 100, and 120 grits. * Please call us for any questions on our belt sander 3 inch x 24 inch rentals in Hillsdale and Ridgewood NJ.